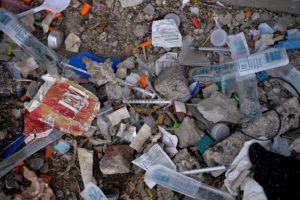 Attitudes have shifted, given the sheer scale of the epidemic, proof that some harm reduction efforts save lives as well as taxpayer dollars, and the changing cultural view of drug users. Recently, activists across the South have handed out free naloxone everywhere from the back of a Mississippi bike shop to a North Carolina church. The Trump administration’s public backing of syringe exchanges has given conservative lawmakers one more reason to support such efforts.